Dear readers, In this page we are providing latest IDBI Federal Life Insurance jobs, IDBI Federal Life Insurance walk-in drives, IDBI Federal Life Insurance off campus drives and IDBI Federal Life Insurance referral drives. Candidates who want to get the latest information about IDBI Federal Life Insurance recruitment drives must bookmark this page. We provide each and every update of IDBI Federal Life Insurance, such as job openings for freshers and experienced professionals, IDBI Federal Life Insurance syllabus, IDBI Federal Life Insurance test pattern, IDBI Federal Life Insurance interview questions and IDBI Federal Life Insurance placement papers. IDBI Federal Life Insurance is one of the most reputed corporate company in the world. It recruits lakhs of engineering students, graduates, postgraduates and undergraduates every year. So there are a lot of opportunities for freshers and experienced candidates to grab a job at IDBI Federal Life Insurance company. But clearing IDBI Federal Life Insurance interview is not an easy task since there is a lot of competition for these vacancies. So one must prepare well for the IDBI Federal Life Insurance written exam as well as face to face interview. 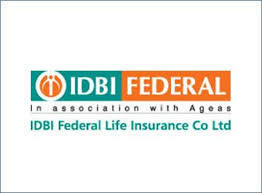 IDBI Federal Life Insurance is hiring dynamic freshers to fill the various vacancies across its branches. Candidates who want to enhance their career can apply for IDBI Federal Life Insurance job openings through the below-provided registration link. Check below information for further details like salary, selection process, required qualification and registration process. IDBI Federal Life Insurance is one of India’s growing life insurance companies and offers a diverse range of wealth management, protection and retirement solutions to individual and corporate customers. IDBI Federal Life Insurance Co Ltd is a three-way joint venture of IDBI Bank, an Indian development, and commercial bank; Federal Bank, one of India’s leading private sector banks and Ageas, a multinational insurance giant based out of Europe. Through a nationwide network of over 2,000 branches of IDBI Bank and Federal Bank and a sizeable network of advisors and partners, IDBI Federal Life Insurance has achieved presence across the length and breadth of the country. IDBI Federal distributes its products through a multi-channel network consisting of Insurance agents, Bancassurance partners (IDBI Bank, Federal Bank) Direct channel, and Insurance Brokers. Hope the above-provided information about IDBI Federal Life Insurance careers, syllabus and test pattern is useful to you. Keep visiting All India Exams for latest fresher job updates. All India Exams is a hub for latest freshers jobs, BPO jobs, IT jobs, interview tips, interview questions and placement papers. 0 on: "IDBI Federal Life Insurance Job Openings For Freshers 2017 | IDBI Federal Life Insurance Recruitment 2017"